I paint for leisure and enjoyment. I use lots of color, no clouds or dull greys and My Theme is always â�� Happiness Reignsâ�� . Like someone said â�� I donâ��t know what it is but your paintings make me feel goodâ��. Most of my work is pleine aire landscapes and flowers, the things people hunt to see. I verge on the side of expressionism pushing a little away from reality. 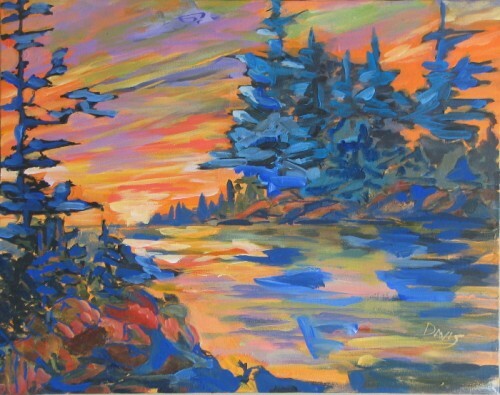 Gordon Davis is a retired engineer and has painted almost all his life. 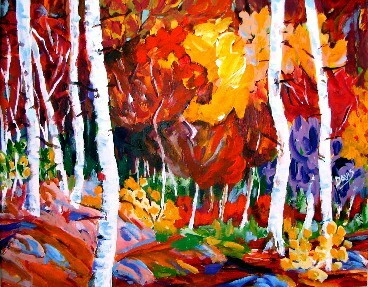 Since 1985 he has attended many courses at The Alberta College of Art, The University of Calgary, The University of California ,The Red Deer College of Art ,the University of Mexico and one course at Le Centre de Arts in France and one at the University of Wisconsin, as well as many private courses. 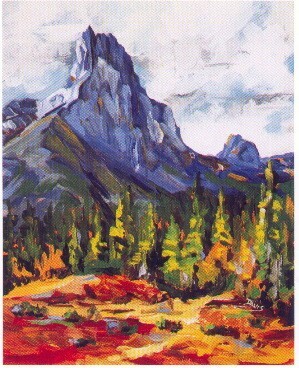 He was a member of The Calgary Community Painters, the Calgary Sketch Club and has shown works at their shows and Galleries in Calgary. 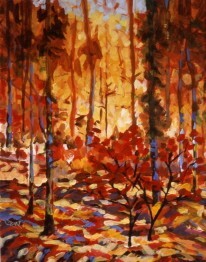 He is a member of the West Vancouver Sketch Club and The Federation of Canadian Artists . 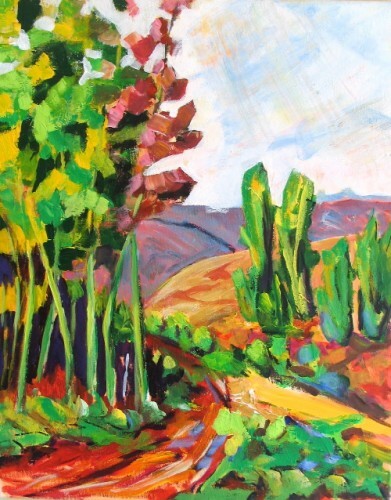 He has exhibited at The Silk Purse Gallery, The Ferry Bldg Gallery and Brewsters CafÃ© in West Vancouver and the â��Cityscapeâ��,â��Studio2â��, â��Biltonâ�� and Presentation Theater in North Vancouver and theâ�� Northern Lights Galleryâ�� in Squamish. and is currently showing at Bilton Gallery in North Vancouver ,The Northern lights Gallery in Squamish and The Chamber of Commerce in West Vancouver and The Presentation House Theater in North Vancouver .